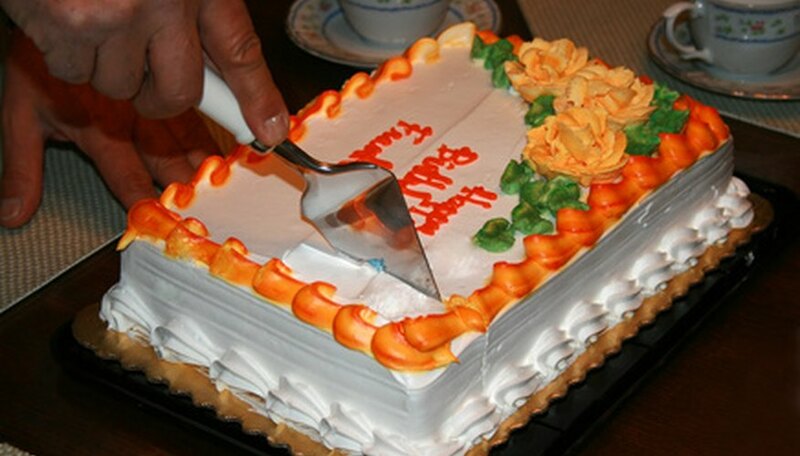 "Happy Birthday to You" is a staple at the birthday parties of both children and adults. But if you want to put a more Christian spin on your next birthday celebration, this traditional song doesn't have to be the only one in your guests' repertoire. You and your party guests can serenade the guest of honor with several Christian birthday songs, too. One Accord Celebrations, a Christian publisher, is marketing what it hopes will become an official Christian song for birthday celebrations, the aptly named "Christian Birthday Song." The song, written by K. Rouse and published by Lyrically Glorified Publishing, includes such lyrics as "Happy Birthday to you, Jesus Christ saved you. Another year, He's brought you through ..." On its website, One Accord says that too many birthday celebrations focus on the individual and not on God. "The Christian Birthday Song", is an attempt to change that. In 1934, Haldor Lillenas copyrighted "A Happy Birthday To You," a Christian birthday song that prominently mentions Jesus. The song's copyright was renewed in 1962 by Lillenas Publishing Company. It includes the lyrics, "May you find Jesus near every day of the year." Haldor Lillenas was an ordained minister in the Church of the Nazarene, and is thought to have composed more than 4,000 hymns during her lifetime. The Christmas holiday is the perfect time to sing a birthday song for Jesus. The well-known "Happy Birthday Jesus" song, was published in 1996 by Word, Inc., and written by Mildred Hill, Patty Hill and Carol Cymbala. This popular song includes the lyrics: "All the tinsel and lights and the presents are nice, but the real gift is you." How Do I Download a Single Song? What Is the Meaning of "La Vie en Rose"?